There are many brands of toothpaste in the market available today, such as Colgate, Darlie, Fresh and white, Aquafresh, Sensodyne etc, all with different ingredients serving different purposes such as teeth whitening and fighting tooth sensitivity; but their main function is to fight decay. So how did the toothpaste first come about? The use of toothpaste first came about around 3000-5000 BC. These were pastes made by the Egyptians, consisting of oxen hooves, myrrh, burned egg shells, pumice, and water. Toothpaste was used in China and India around 300-500BC. The Chinese added additional ingredients such as ginseng, herbs, salts and mints to give a better taste. According to Chinese history, a learned man, Huang-Ti, studied the care of teeth and claimed different types of pain felt in the mouth could be cured by sticking gold and silver needles into different parts of the jaw and gum. It was theories such as these that led to the development of dental cream. In 20-80 AD, the people followed certain regimes to maintain good dental health, such as drinking goats milk, brushing teeth with ashes from burnt mice heads, rabbit heads, wolves heads, ox heels and goats feet, washing teeth with tortoise blood, and using mouthwashes consisting of pure white wine or urine! In 1000 AD Persians added burnt shells of snails and oysters along with gypsum. As can be seen, the earlier toothpastes were primarily made up of abrasives that serves to abrade the stains away from tooth surface. Modern toothpastes do not contain as much abrasives. Also, in the earlier days, toothpaste was not widely available to everybody; it was more of a custom for the rich, especially since toothbrushes back in those days were costly. Some resort to brushing their teeth with their fingers. Toothpowder or dentifrice was first available in Britain in the late eighteenth century. 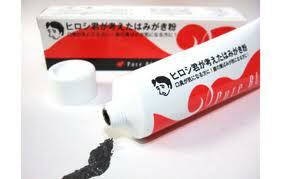 It came in a ceramic pot and was available either as a powder or paste. One of the problems with these dentifrice was that they were very abrasive, hence was damaging to teeth. 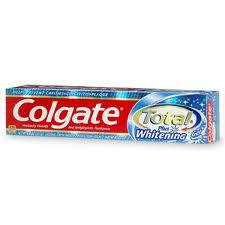 In 1824: A dentist called Peabody was the first to add soap to toothpaste. In the 1850’s: Chalk was first added to toothpaste by John Harris. In 1892, Dr. Washington Sheffield of Connecticut was the first to put toothpaste into a collapsible tube. His toothpaste was called Dr. Sheffield’s Creme Dentifrice. Around the mid 20th century, several studies were conducted and fluoride was found to be the key ingredient towards fighting decay. With this breakthrough, thus began the incorporation of fluoride into toothpastes, as was done by Proctor & Gamble when they launched Crest toothpaste. These toothpastes with fluoride received the ADA (American Dental Association)’s approval. 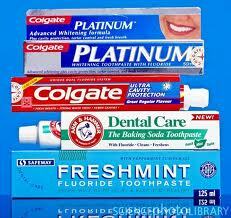 Prior to WWII, toothpaste was packaged in small lead/tin alloy tubes. The inside of the tube was coated with wax, however, it was discovered that lead from the tubes leached into the product. In addition to that there was a shortage of lead and tin during WWII, and these reasons led to the use of laminated (aluminum, paper, and plastic combination) tubes. At the end of the twentieth century pure plastic tubes were used. The addition of fluoride was followed in the 1980’s with the addition of soluble calcium fluoride to fluoride toothpastes. It is therefore within the last thirty years that toothpastes contain the two ingredients – calcium and fluoride. Nowadays, there are controversial views on the effectiveness and safety of fluoride toothpaste. Nevertheless there have been numerous studies to prove that fluoride is indeed highly effective in fighting tooth decay, but should not be taken of applied in excess, lest a condition called fluorosis should ensue, causing discoloration and weakening of tooth substance. Abrasion is significantly reduced during this time as well. After WW II, the soap used in toothpaste was replaced with emulsifying agents such as Sodium Lauryl Sulphate and Sodium Ricinoleate. Sweeteners were added into toothpaste as well. Today, there are numerous types and brands of toothpastes available. There may not be one so-called “best toothpaste”; each person may differ in their preference, but toothpastes have indeed come a long way and are here to stay, for their role in keeping our teeth and gums healthy cannot be denied. There will be a continuation of advancements in the development of toothpastes for the betterment of our dental health. This entry was posted in Toothpaste and tagged dentrifice, fluoride, history, Toothpaste, toothpowder on October 12, 2011 by phebe.